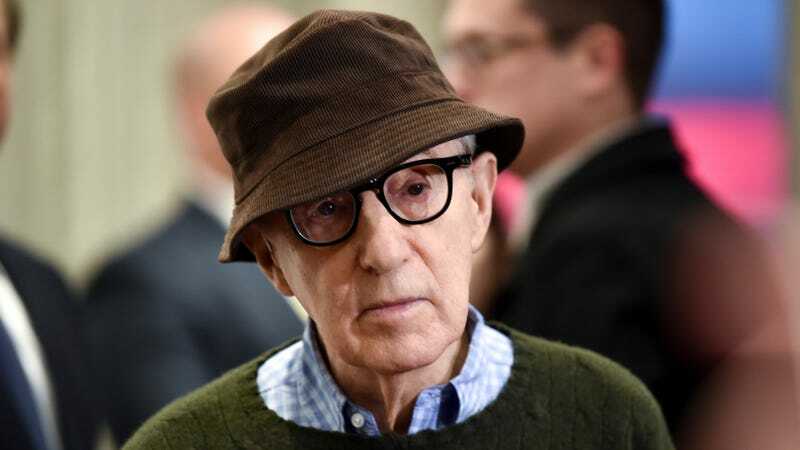 In case you—like Allen—are hazy on the facts, some background: His adopted daughter, Dylan Farrow, accused him of sexually abusing her when she was seven years old. While he was never formally charged, a judge did call Allen’s behavior toward his daughter “grossly inappropriate” and determined that “measures must be taken to protect her.” Farrow continues to stand by her accusation. Also, let’s not forget that actor Mariel Hemingway alleged that Allen, who cast her as his love interest in Manhattan when she was underage, tried to seduce her once she turned 18. And, while we’re reviewing facts, you might recall that as a 50-something, Allen began an affair with the 21-year-old adopted daughter of his then-girlfriend, Mia Farrow. Oh, bravo. Someone please get this man a trophy for managing to do his work without generating accusations of “impropriety.” Is that the gold standard now? Do men deserve plaudits simply for a lack of hideous workplace abuse accusations? Even if they are the subject of hideous non-workplace abuse accusations?